"Bruno Cavallo is having a good time in Bradford. At least you'd think he would be, having sold 'about 10' paintings from his showing at the Royal Bank. 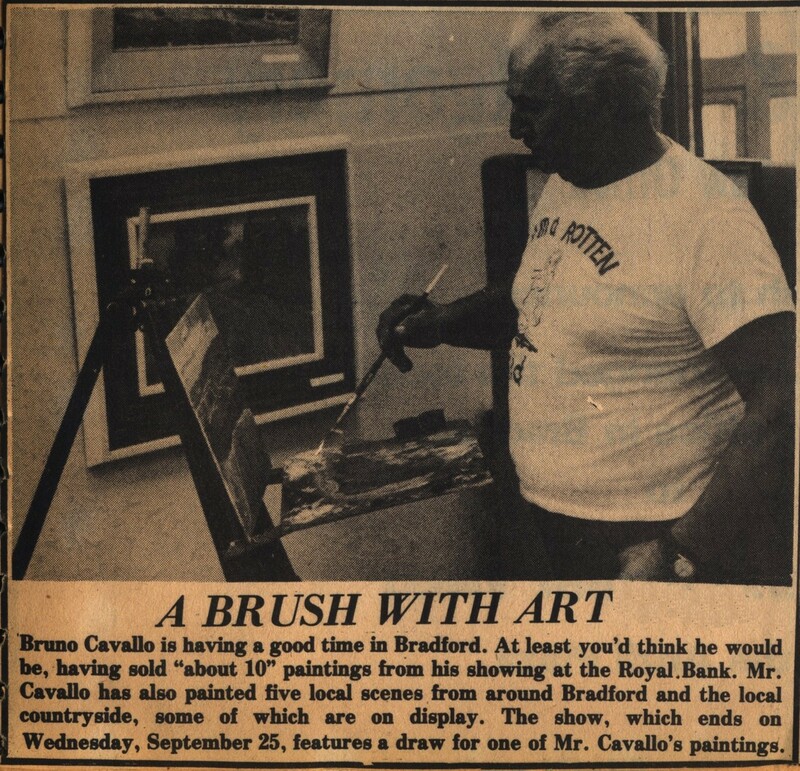 Mr. Cavallo has also painted five local scenes from around Bradford and the local countryside, some of which are on display. The show, which ends on Wednesday, September 25, features a draw for one of Mr. Cavallo's paintings."